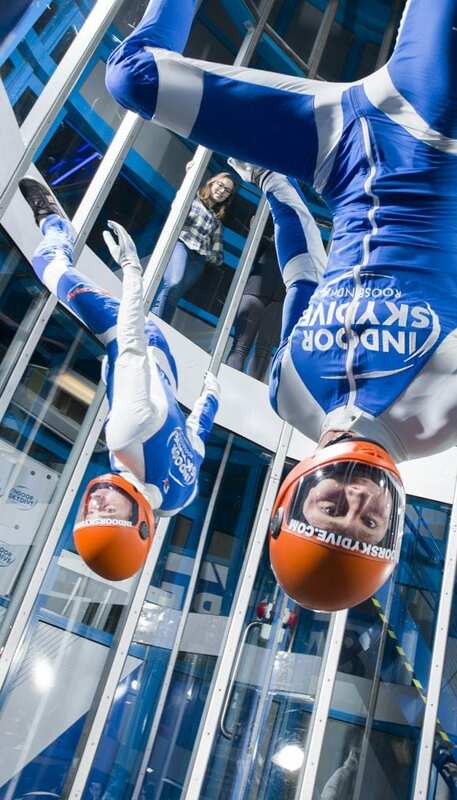 In Roosendaal you will find the first indoor skydiving centre of the Benelux! With more than 10 years of experience, skydivers come here to train, each guest – from the youngsters till the older – will get the unforgettable experience and a lot of companies come for the most original events! You can fly! Really, everyone can do indoor skydiving! Indoor Skydive Roosendaal offers you the unique experience of ‘free falling’, without jumping out of a plane! An unforgettable experience, just with the power of the wind! Come and enjoy your first time! Get your indoor skydive sessions at Indoor Skydive Roosendaal and experience the ultimate adrenalinekick! Get the amazing free fall experience and fly by the power of the wind. Spread your wings and experience an unforgettable and unique day! EVERYONE IS ABLE TO GO INDOOR SKYDIVING! Indoor Skydiving is an unique experience for all ages. Everyone is able to go indoor skydiving! Did you know that the oldest indoor skydiver is 88 years old? Our international diplomated and experienced instructors will guide you through our tunnel with all pleasure. More than 10 years we provide our guests more than a smile on their face, we provide the most unique and exciting experience! WHICH FLIGHTS DO YOU HAVE TO CHOOSE? You’ve got a lot of options at Indoor Skydive Roosendaal. Is this your first time in our tunnel? Have a look on our special first-timer page where you can find all of our possibilities. 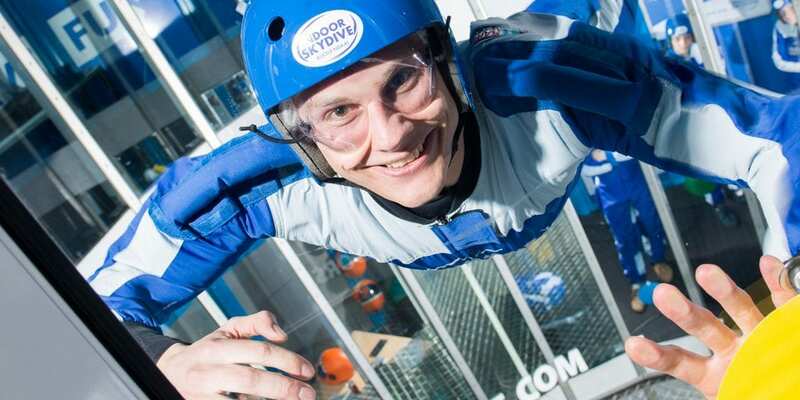 Are you frequent flyer or do you want to improve your indoor skydiving skills? Check our frequent flyers page! If you’re the organisator of a group– or company event, you will find a lot of arrangements to choose from. Also, if you want to know the prices or want to book: you will always get online discount! Indoor Skydive Roosendaal is one of the tunnels in the Netherlands. Just near the Belgian borders and central in the Benelux, Indoor Skydive Roosendaal is located at intersection ‘De Stok’ just near the A17 and A58 highways. From Rotterdam and Antwerp City Indoor Skydive Roosendaal is just a 30 minutes drive. Also, McArthurGlen Designer Outlet Rosada is located near the tunnel. For every fan of indoor skydiving we made a special indoor skydiving page, where you will find all the information you want to know about indoor skydiving. From history about the indoor skydiving scene till all what you want to know for your first flight. Even tips and tricks are given to make sure your first time will be absolute unforgettable! Want to see more? Have a look at these incredible video’s or read our blog! We’ll hope to welcome you soon in the number one Indoor Skydive Centre of the Benelux!